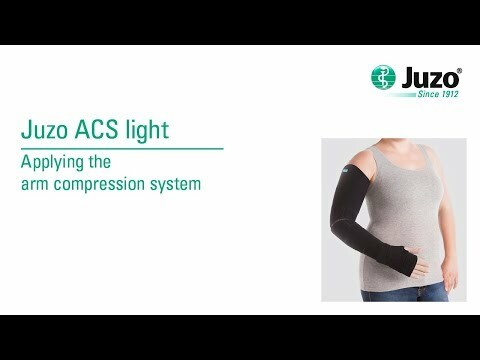 Juzo ACS light Products for the upper extremities are compression tools with short-stretch characteristics, intended to reduce oedema in the arm and hand. Juzo ACS light Arm wraps can be combined with Juzo ACS light Hand wraps range. The wraps for arm are left and right specific – to enable a better fit and to make them easier to put on and take off. The Juzo ACS light Hand wraps are particularly suitable to treat oedema in the back of the hand.